Gone are the days of a smoky kitchen from using my cast-iron pan. Our Faber range hood makes the kitchen breathable and looks great! The design of this Faber hood is understated but still looks great in my kitchen. Very effective even on low settings and doesn’t make a lot of noise. I researched stove hood reviews very thoroughly and Faber units had mostly 5-star reviews which beat all other units hands down. We are well pleased with the looks and the performance of the product. I would recommend this product to a friend. 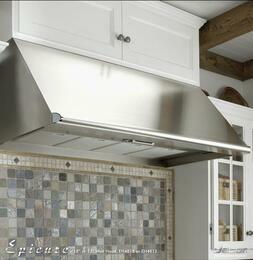 This Faber range hood has it all. Looks great, works better. The light does a good job shining on the oven. It was an excellent service, the product is very good quality, the price very affordable they deliver very quick. I love it and it's truly efficient with making my kitchen food scent free. You cannot beat this price. This hood looks way more expensive then it was. I put this in my vacation home. It has become the focal point in my kitchen. Simply amazing!